It is easy to pick a digital camera, pointing it towards a subject and click! Upto certain extend it is fascinating. But practicing portrait photography for years and never finding satisfactory result can be even more frustrating. It takes lot of patience, regular practice and technical knowledge to adopt those skills. Here in this article, I will try to provide you some tips to improve your skill of portrait photography. Pay attention to Rule of Third while taking portrait. The Rule of Third emphasises to place the subject off-centre to add balance and it’s more pleasing to the eyes, rather than placing the subject in the middle of the frame. In case of vertical frame, use the eyes for the rule of third placement. This is not a set rule but surely a good starting point of practicing portrait photography. A portrait without a good expression does not connect the viewer. People love to see the real emotion in an image. Every photographer faces challenge in bringing out the expression from its subject. But as a photographer, it’s part of your job to break the barriers, make your subject feel comfortable and bring out the best expression out of them. T he eyes are the single most important feature of any portrait. Out of focus eyes or even eyes that lack connection, will weaken the impact of a portrait. While shooting portraits, always focus your camera on the eyes. Eyes must be the sharpest portion of your image. Choose shallow depth of field like f/2.8, which will help to pop up the eyes properly. Always try to shoot in the shade to avoid direct sunlight. Because harsh light may squeeze your subject’s eyes or create hard shadows under the eyes which in turn may ruin a beautiful portrait. It is a good idea to place the eyes in a frame roughly as per Rule of Third. This gives your portrait’s composition a natural balance and works well in most of the times. If your subject is not looking at the camera, it’s better to l eave some space towards the eye sight of the subject. A viewer of a portrait often finds that his line of sight follows the line of sight of the portrait. If there is negative space in your image and your subject looking towards it, the viewer’s eye will follow that line of sight and slowly across the entire image, then finally go out of the frame. Try to do some experiments with the point of view, like top shot or low angle shot etc. This is absolutely fine, and you shouldn’t be afraid to experiment with different portrait compositions – rules are there to be broken after all. Sometimes a photographer is so focused on concentrating on the subject that he ends up ignoring the background and surroundings. But the background is equally important to complete your image. Pay equal importance and attention on the background to avoid distractions. Sometimes you may choose only the face of your subject as the portrait and concentrate solely on that, crop out everything else. Usually this means zooming in on the subject’s face to capture their features and expressions. Sometimes this type of composition helps to reduce distractions and keeps the viewer’s attention focused on the important parts of the subject. When shooting portraits, it’s best to set a wide aperture (around f/2.8-f/5.6) to capture a shallow depth of field, to make your background nicely blurred. In that case you can choose to shoot in Aperture Priority Mode to control the depth of field. Select shutter speed carefully, otherwise camera-shake will become an issue. Usually try to keep shutter speed 1/125 sec or faster depending on focal length and lighting condition. While being in Aperture Priority mode and maintaining a wide aperture, u can increase your shutter speed by simply increasing your ISO (from ISO100 to ISO400, say) if need be. In low light condition to get your exposure right, you have to keep higher ISO settings. Portrait is not about just capturing a face, it’s about telling a story through the face of your subject. Telling some kind of story through your image makes it better and stronger. Every face in different situation and places tells a different story. 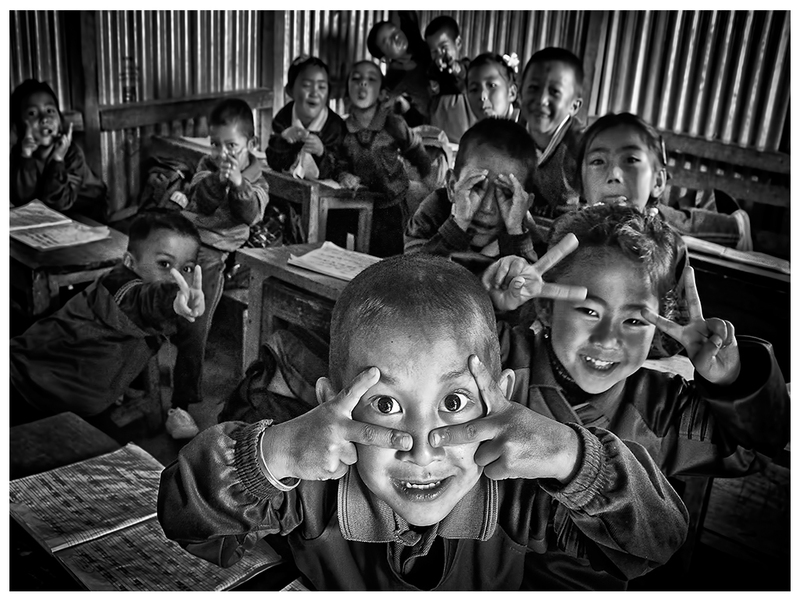 As a photographer, your challenge is to bring out that story behind the face. The key components of taking successful portraits are decisions of location, light and over all body language. Really helpful article. Sharing it. Excellent, Excellent & Excellent… It will not help only the beginners but also those who passed their time in photographic field even a years long or more than that.. Thanks Ms. Tania Chatterjee for your valuable opininion about portrait photography.. Beautifully explained tutorial.learned a lot ?? Vary helpful for beginners.Thanks Tania ji. Very nice and lucid article with crystal clear viewpoints . Really helpful for learners. Very helpful for me thank you Didi. Inspirational. Thank you so much for share the excellent works. Helpful to us. Helpful tips on Portrait Taniaji….